Passengers in London and Edinburgh will soon be the first in the UK to experience self-driving bus and taxi services under trials announced by Business and Energy Secretary Greg Clark. The first pilot, Project CAV Forth, led by smart cities tech provider Fusion Processing, will bring together organisations from across the UK to develop an autonomous bus service across the Forth Bridge. The project will convert five full-size single decker manually driven buses into autonomous vehicles. These self-driving buses will provide a service capable of carrying up to 42 passengers 14 miles across the Forth Bridge to Edinburgh Park Train and Tram interchange. With buses every 20 minutes this could provide an estimated 10,000 weekly journeys, and support the case for rolling out similar services across the UK. 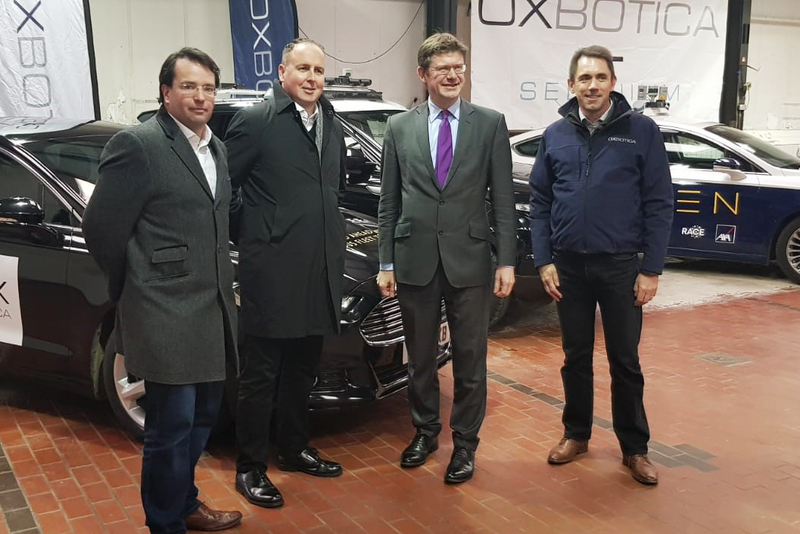 Project Apollo led by Addison Lee with AV developer Oxbotica will develop and deploy 4 autonomous taxi pilot services that increase in complexity and distance in Greenwich, London. The third pilot, ServCity project, will run simultaneously in London, and develop a mobility service using 6 autonomous Land Rover Discovery vehicles. The projects were selected following a competitive process and will share a £25m government grant through the fourth round of the Connected + Autonomous Vehicles Intelligent Mobility Fund. All the projects will include social behavioural research to further explore how driverless technology can seamlessly integrate into society. The findings will be applied to the development of future autonomous service models. The Centre for Connected Autonomous Vehicles was established in 2015 to ensure the UK is a world-leader in the development and testing of self-driving technologies. So far, £250m, match-funded by industry, is being invested by the government, propelling self-driving technology in the UK.